Cabo is Back! Come on Down and Join the Fun! 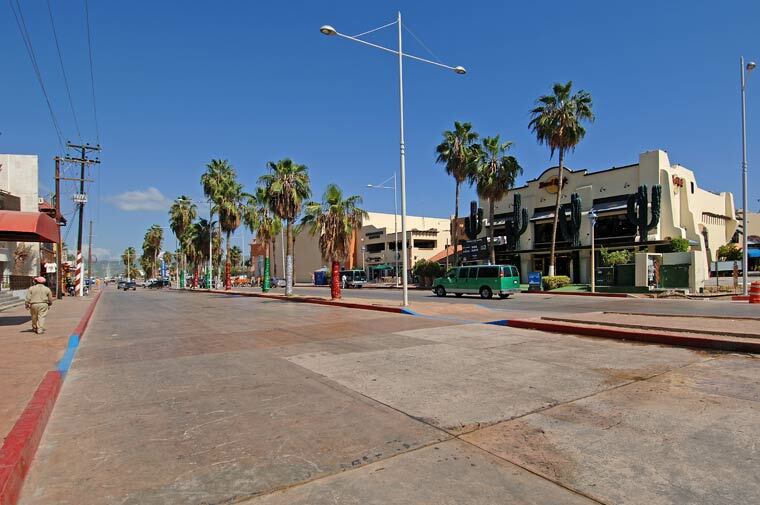 Lazaro Cardenas and Boulevard Marina—the two main thoroughfares in downtown Cabo San Lucas—are finally clear of the construction that has slowed traffic and deterred motorists for more than a year. 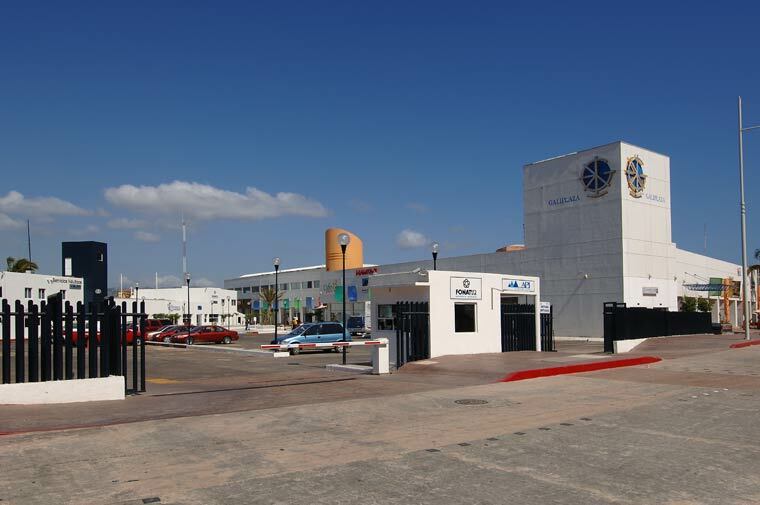 Driving into town on Lazaro Cardenas from the Carreterra Transpeninsular is now a breeze: There are three lanes moving in both directions all the way to Plaza Aramburo, at Lazaro Cardenas and Ignacio Zaragoza, as well as new “side-outs” for taxis, buses, and parking. 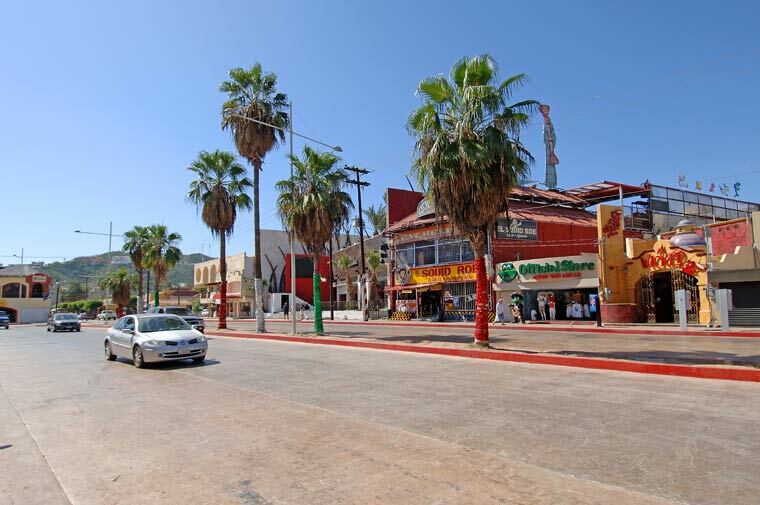 Lazaro Cardenas continues uphill to Avenida Cabo San Lucas, where one can turn left, then after a few blocks go around the roundabout, or “glorieta,” in front of the northwest corner of the Tesoro Los Cabos. 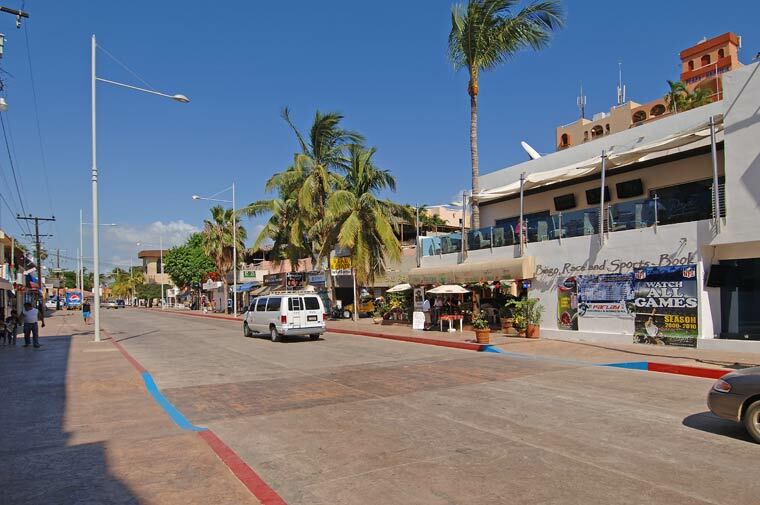 After the roundabout, one can return along the two-lane Boulevard Marina, which eventually rejoins Lazaro Cardenas heading out of town; or instead of rounding the glorieta at Avenida Cabo San Lucas, one can continue south on Boulevard Marina to its terminus at the harbor entrance. 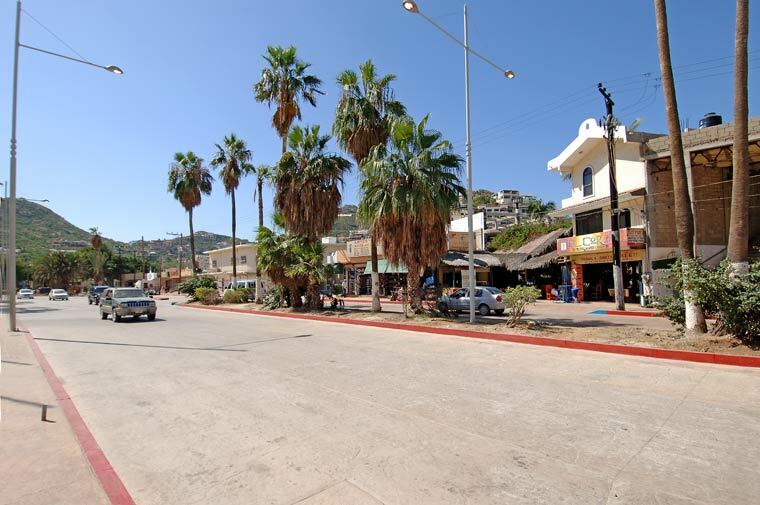 Minor traffic disruptions will continue for another year or so on the portion of Boulevard Marina south of Avenida Cabo San Lucas; a major cultural center is being constructed on the marina, between the Cabo Dolphin Center and Tesoro. This construction so far has not affected Boulevard Marina traffic in any serious way. 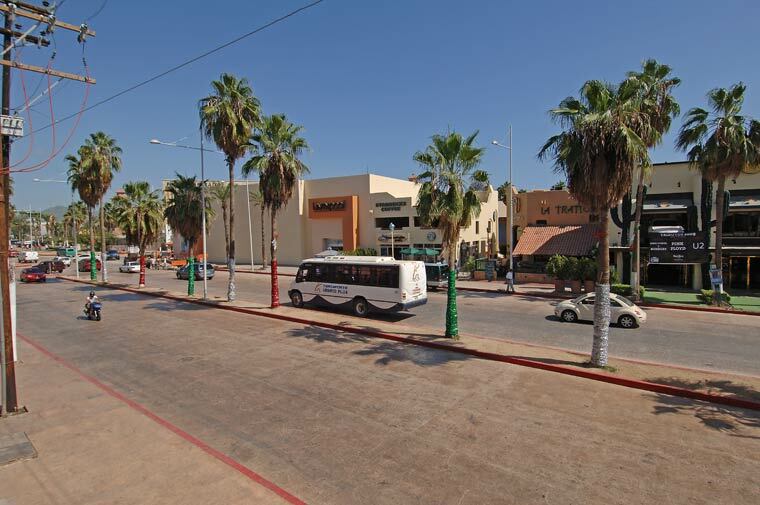 Intersection of Lazaro Cardenas and Boulevard Marina facing Hard Rock Café and La Trattoria. View of Lazaro Cardenas facing Hard Rock Café, La Trattoria, and Liverpool Plaza, from Mandala. The planners behind this ambitious improvement project deserve credit for solving a major traffic predicament—how to get large numbers of vehicles in and out of town with only a minimal disruption and amount of congestion. I entered onto the four-lane from the bullring and made it all the way to Miguel Hidalgo without having to stop once. Sidewalks along the route have been replaced—some are more than 10 feet wide. Gone are most of the telephone poles that had impeded pedestrians in the middle of the walkways. Where rough, uneven, and often broken concrete of different levels once dominated, the government, local businesses, and street performers now have wide, level sidewalk space for events and exhibitions. (Outside the reconstructed area, however, narrow, uneven sidewalks do remain.) Note the new streetlight fixtures with their superwide branches, which are perfect for hanging banners; you can expect to see downtown really dressed up for the holidays. Boulevard Marina facing Plaza Nautica on the right with Giggling Marlin in the far background. In front of the harbor, on Boulevard Marina facing Pink Kitty on the left, Burger King & Hard Rock Cafe on right. 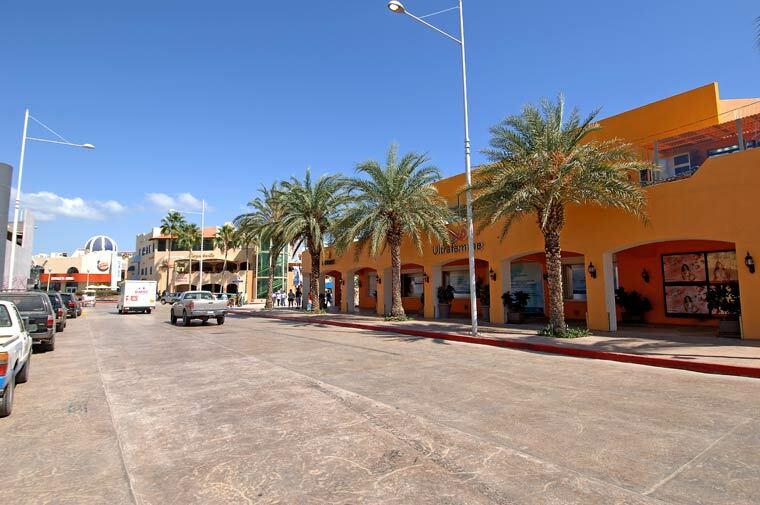 Boulevard Marina, facing Margaritavilla in the background, Pink Kitty on left and the Cabo Marina on the right. You will still see some construction crews installing signs, planting palms, and relocating utility lines—but they stay out of the way and do not impede traffic. 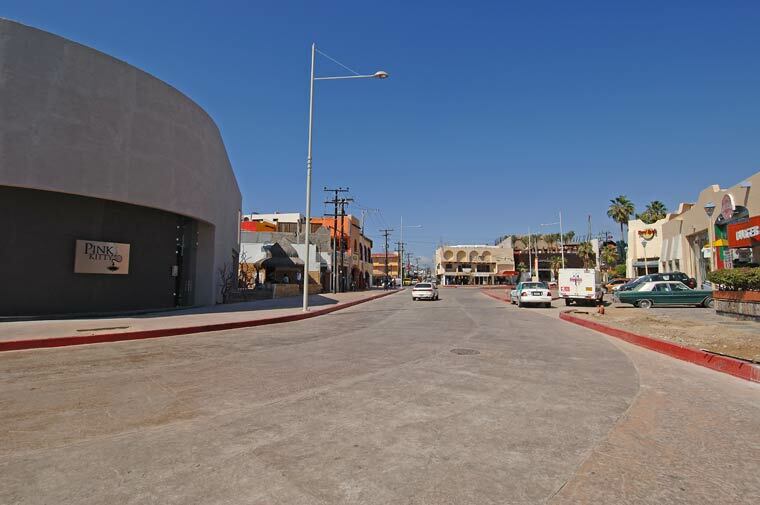 With the street project 98 percent complete and fully functioning, a drive through downtown finally reflects the carefree Los Cabos spirit. Venture away from your resort for a joyride here, and you won’t be sorry. 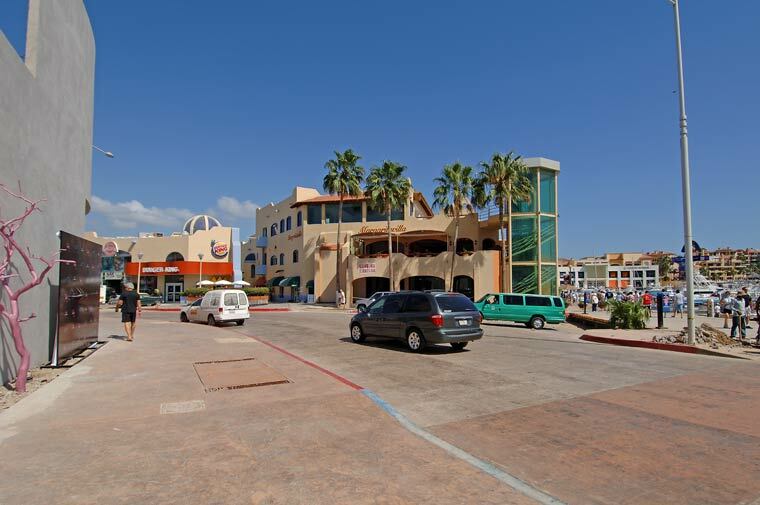 Not as you zoom past hot spots like Cabo Wabo or the Hard Rock. Not as you zip into a parking spot before an afternoon of shopping. And definitely not as cruise lazily down the boulevard, hood down, soaking up the sun, and planning your next trip back. The following is an excerpt from Los Cabos Magazine Issue No. 18, Fall 2008. Los Cabos Magazine - Los Cabos Visitor's Guide - Los Cabos Magazines, Inc.